Rooms lit by candlelight and a roaring fire always feel a bit more cozy and inviting during these cold winter months. 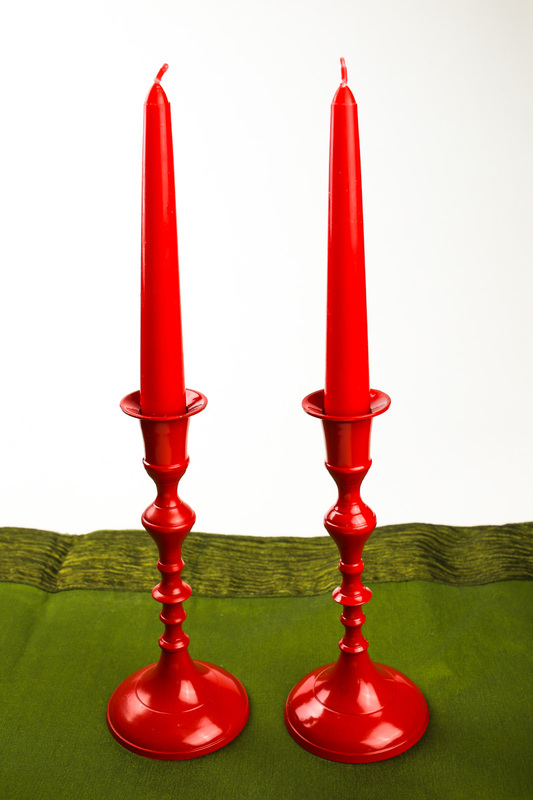 With many of us entertaining guests for holiday feasts, we can bring some warmth and delight to the dinner table with these spray-painted candleholders. Upcycle a pair of brass candleholders from a local thrift shop or breath new life into an old pair from storage. For day 14 you get double your crafts with these adorable felt pine cones from Krafty Kath! 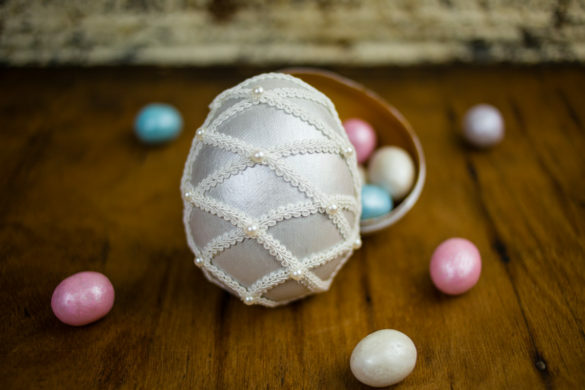 They would be a great addition to your centerpiece. 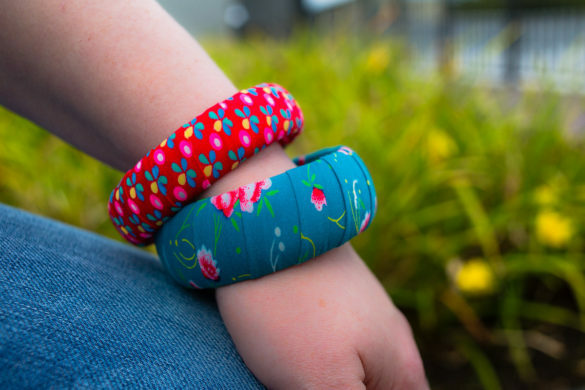 Allow yourself about an hour to setup and spray and more time for drying (overnight is best). 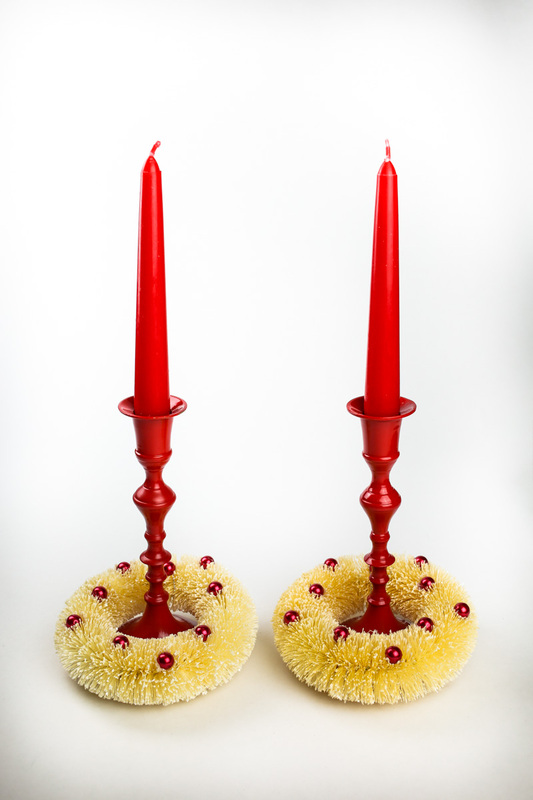 Thoroughly clean the candleholders to remove any dirt, grease, or old wax. In a well-lit and well-ventilated area, place the cardboard box in the center of your drop cloth or tarp. Place one candleholder inside the box on top of a paper plate. Following the instructions on the spray paint, shake can for approximately 2 minutes. Ten to 12 inches from the candleholder, spray a light coat, using the paper plate to rotate the candleholder to get each side. Repeat until you have a solid coat. If you have a candleholder with a large top like mine, you may need to flip it over to get a good application of paint on the underside. Use a second paper plate on top to flip it. This prevents you from having to touch the candleholder and leaving marks. When done, flip it back and do another light coat on top to fix any smudges from the paper plate. Using the paper plate, move the candleholder somewhere to dry. Place a clean plate under the original to prevent paint transferring to other surfaces. Repeat steps 1 through 4 for the second candleholder. 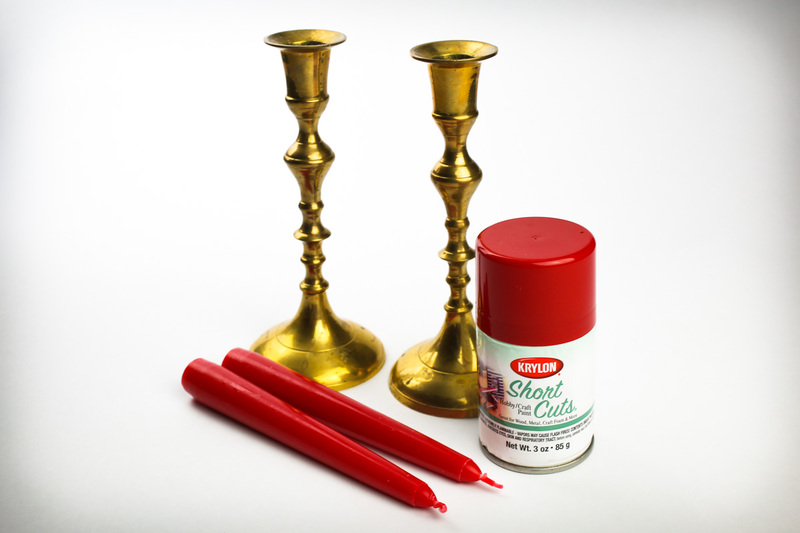 Let your candleholders dry for 2 to 24 hours per the spray paint instructions. 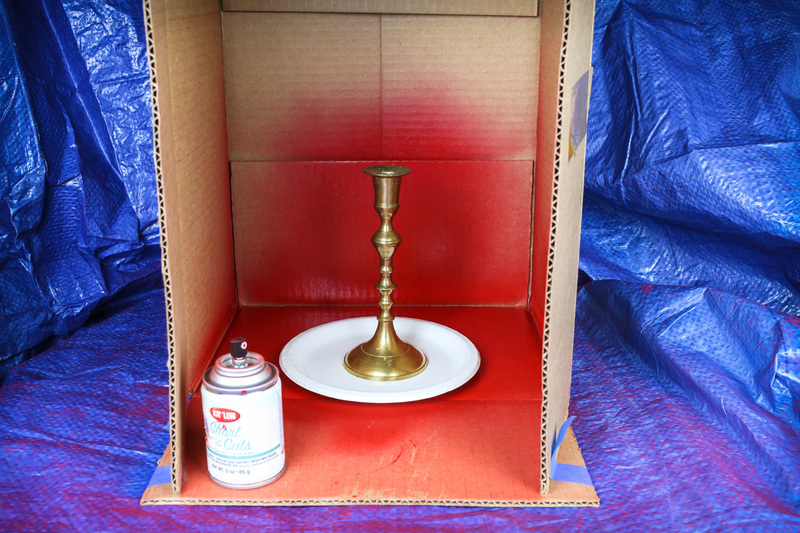 Holy high paint fumes, you just made spray-painted candleholders!